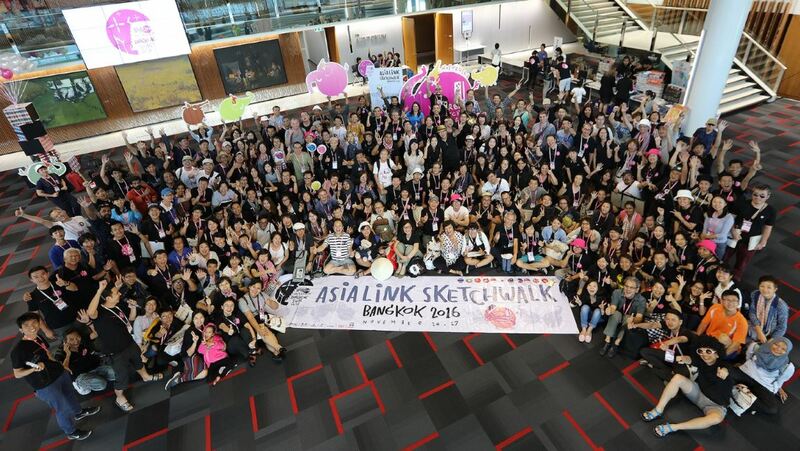 Bangkok Sketcher organized by C asean is a project aimed at disseminating arts and culture by promoting Thai arts and culture through sketches, or drawings, as a means to lead the campaign. These sketches usually carry hidden meaning and subliminal messages, thus offering the public an opportunity to view, appreciate and learn about them. Further on, his will lead to ASEAN Sketcher where interested parties from ASEAN nations come together and showcase their arts and culture through sketches, making a perfect place to learn and understand cultures other than their own. The activity has allowed local people to appreciate Thai art in the form of sketches and drawings. Socially and aesthetically, art is a subtle approach to enriching an understanding of other cultures. Copyright © 2016 C asean Thailand. All rights reserved.